We believe in simple packaging, which is one of the reasons we don't include sifters with every 10-gram jar of mineral makeup we sell. Some customers love them, but others just take them out and throw them away. We don't want unused sifters filling up our landfills. 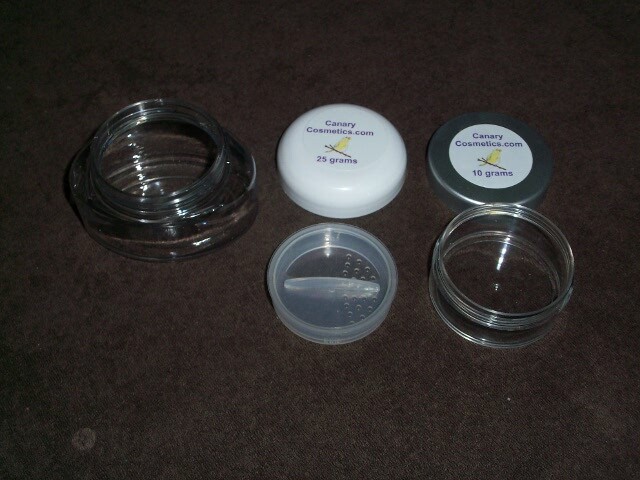 The other reason is that we fill our jars so full of mineral makeup that there isn't room for a sifter. Our solution is to start selling extra jars and sifters separately for customers who want a sifter, or just an extra jar or two for mixing colors. 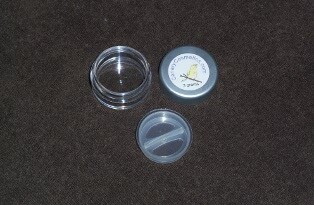 Sifter fits inside top. Made of polyethylene. Jar is made of polystyrene.